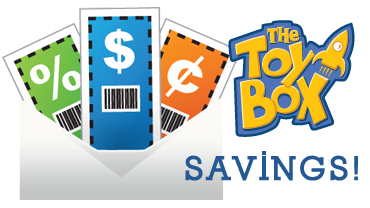 Welcome to The Toy Box located in Franklin Lakes NJ, your destination for fun and imaginative toys! We have chosen only the best products and brands that the toy market has to offer such as Lego, Thomas & Friends, Alex, Playmobil, Buder Mattel, Razor and more. Besides providing a fun and friendly shopping experience, we strive to educate our customers about the play value of our carefully selected products. Keeping in mind the importance of child development, we look to inspire growth through play and strengthen the social and physical skills every child needs to thrive. In addition to toys and activities, we also offer amazing children’s birthday parties for your little one’s next big day! Our mission is to provide a unique learning experience for children that is entertaining and hands-on in a specialty retail environment. We carry a wide range of educational and innovative toys from various European brands as well as eco-friendly products for children ranging from infant to tween.The Toy Box experience not only offers toys of exceptional quality but also features an interactive learning environment designed to educate, entertain and enhance every child’s imagination. We frequent toy fairs and gift shows to stay up to date on the newest and coolest items; and along with our friends and families, we’ve personally tested nearly every item on our shelves in order to give an informed account of our products. It is our hope that such a carefully selected array of creative, enriching and let’s say it – fun! – toys, books, games and active playthings will serve as a reminder to step away from the TV or computer screen and have good old-fashioned family fun. To enhance The Toy Box experience, we also offer free children’s programs that include hands-on science, cooking, holiday programs and game and craft demonstrations. Our birthday parties themes include Princess & Pirates, Construction, Dinosaurs, Bubbleology, Magical Science as well as several science based parties such as Fire & Ice, Slime Time, Fantastic Lights and much more! Your children will have an absolutely amazing time and you’ll have fun too, since it will be effortless for you!